$10 text only ad for 30 days. $25 text and picture ad for 30 days. GOSA members receive a $10.00 discount per listing per month (equivalent of free text ad) and featured status at the top of the results. Complete the information. Contact person, email, title, description are required. Double check your contact information. Your ad will be reviewed for content, pricing, and member discounts. The GOSA secretary will email an invoice for your advertising. Your ad will appear when content is approved and the invoice is paid in full. For visibility, a classified button may be added to outgoing GOSA email blasts. 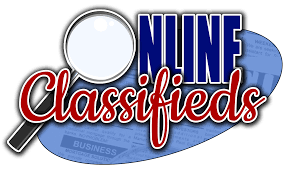 Periodically, we may post a link to classified ads on the GOSA Facebook group page. You may also share your ad page link on your own social media profiles. Ads will remain published for 30 days. If you need to remove your ad before 30 days has elapsed, contact the office. Ads are sold for 30 day periods only. There are no refunds or rollover of unused advertising space.